The unlucky numbers we bought yesterday :(. Euro lotto tomorrow will be estimated € 65. Today is our anniversary so I told my hubby to try our luck buying one line of a lotto ticket. Like others lotto game, Euro millions has a very small as many people across Europe buy the ticket, but I want to take a part to win the prize! 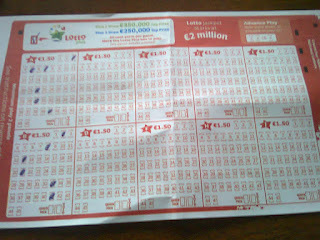 On Monday, I did syndicate with my friend for Euro millions and we won € 8. We've planned to spend the money for buying the lotto again, we did it yesterday but no luck. We're gonna try again on the Irish lotto on next Saturday. I actually promise my hubby not to buy lotto again (as he doesn't me become addicted! ), but I break the rules :). It indeed can make you addicted if you can't control yourself. But I teach myself not to go crazy. If I win some numbers, I use the money to buy just one line. 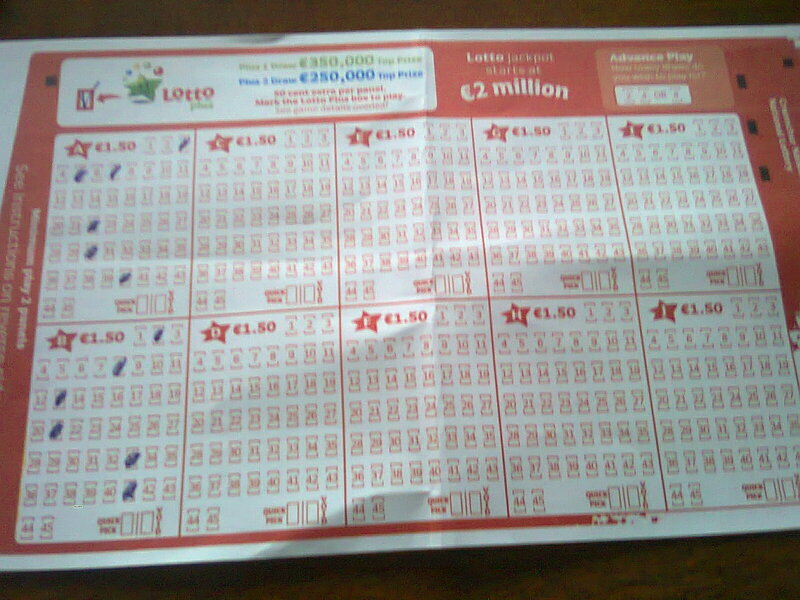 One line ticket is € 2 for the Euro and Irish lotto and you can choose the numbers by quick pick (the machine chose the numbers for you) o using your own numbers. before, I always take the quick pick but now I chose my own numbers. Hopefully my winning numbers will be drawn tomorrow. If they do, I will keep it in secret :).